Presenting a follower-centered perspective on leadership, this book focuses on followers as the direct determinant of leadership effects because it is generally through follower reactions and behaviors that leadership attempts succeed or fail. Therefore, leadership theory needs to be articulated with a theory of how followers create meaning from leadership acts and how this meaning helps followers self-regulate in specific contexts. In this book, an attempt is made to develop such a theory, maintaining that the central construct in this process is the self-identity of followers. In developing this theoretical perspective, the authors draw heavily from several areas of research and theory. 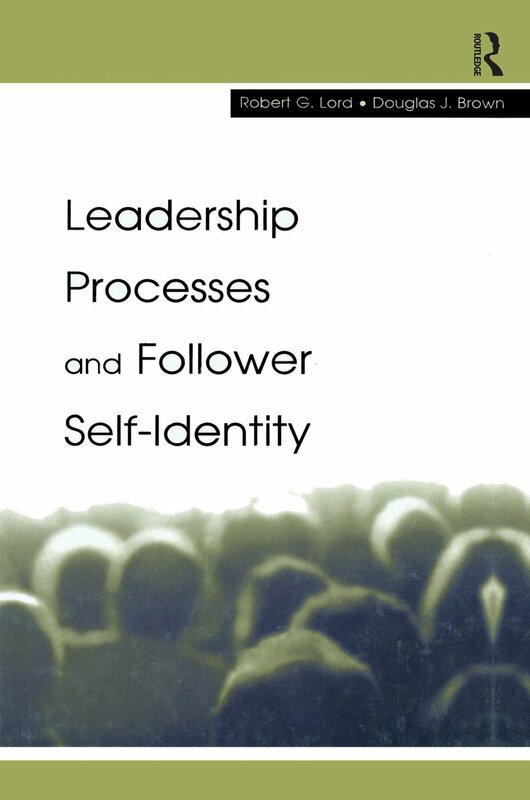 The most critical constructs do not come directly from the leadership literature, but from social and cognitive theory pertaining to follower's self-identity, self-regulatory processes, motivation, values, cognitions, and emotions and perceptions of social justice. Leaders may have profound effects on these aspects of followers and it is by analyzing such indirect, follower-mediated leadership effects that most ideas regarding leadership theory and practice are developed. Due to its broad theoretical focus, this book is relevant to a number of audiences. The authors' principal concern is with the development of leadership theory and the practice of leadership making the book relevant to audiences in management, applied psychology, and social psychology. They have tried to clearly define key constructs and provide practical examples so that the book could be accessible to advanced undergraduate students. However, the diversity of the underlying theoretical literatures and the complexity of the framework developed also make the book appropriate for graduate courses in those disciplines, and for readers with a professional interest in leadership theory or practice. Contents: A.P. Brief, J.P. Walsh, Series Foreword. Preface. Common Sense, Science, and Leadership. The Working Self-Concept and Behavior. Level and Self-Concept. Temporary and Enduring Effects of Leaders. Generating a Mental Representation of a Leader's Behavior: Linking Perception to WSC Activation. Leadership and Emotions. With C. Selenta, Leadership and Organizational Justice. The Value Added by a Second-Order, Subordinate-Focused Approach to Understanding Leadership Processes.